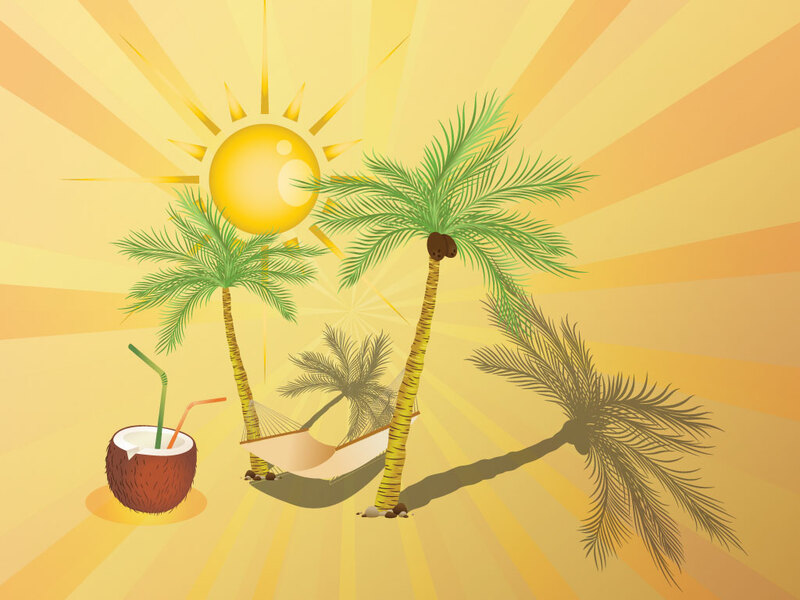 Download this great summer relaxation design for your greeting and e-cards. This beautiful vector illustration has the perfect exotic beach feel for telling your loved ones you're going on a vacation. Tags: Beach, Desert, Exotic, Nature, Palm Tree, Relax, Summer, Sun.